ahorasoyuncronopio: Why does India struggle to develop its own complex high technology products like fighter aircraft? Why does India struggle to develop its own complex high technology products like fighter aircraft? 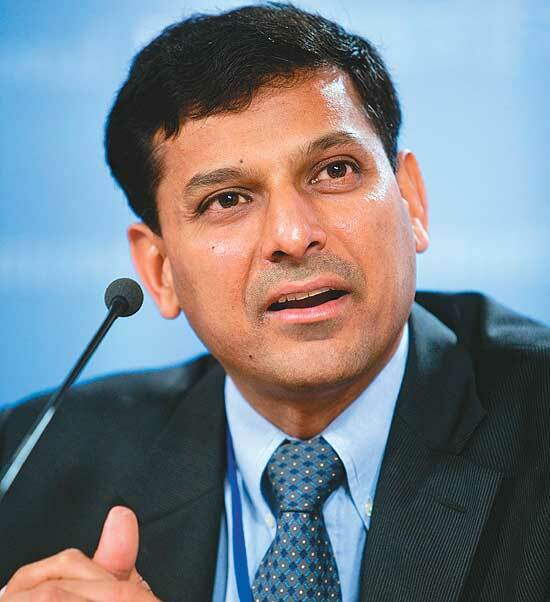 Dr Raghuram Rajan, Chief Economic Adviser to the MoF, GoI, was the chief guest at the IIMB convocation this year. I had the privilege of meeting him briefly before the convocation started. We talked about jugaad, Indian industry's innovation capabilities, and which companies stand out on the innovation dimension. One question that Dr. Rajan asked was something that I have thought about often: why do we struggle in our large projects that involve the development of complex products like tanks or fighter aircraft? And why are we able to do relatively better in areas like space and missiles? While I gave an immediate response to his questions, these are important enough questions to merit a more elaborate response. The starting challenge for creating defence products from India is the product specifications. One common criticism of our armed forces is that their specs are usually a combination of the best performance on each parameter offered by different vendors. Often, a product with such a combination of characteristics is either unavailable anywhere, or if it exists, is exorbitantly expensive. There seems to be some truth in this criticism. Consider this example: according to press reports, in the now "under the scanner" Westland deal, there was only one helicopter globally available that met the specs set by the Indian Air Force. Much of the current debate is about who "diluted" the specs to "allow" the Westland chopper to be considered! Designing a product locally does not mean that all components and sub-assemblies have to be made locally. In fact, one of the key decisions to be made is what will be done locally and what will be sourced from elsewhere. Take the example of Embraer, the Brazilian aircraft company. Embraer retains ownership of design and system integration, but collaborates with other companies as diverse as Hitachi and GE for important sub-systems. Yet, Embraer aircraft are still regarded as Brazilian planes! Their big supplier partners share some of the investment and development risk with Embraer. Contrast this with the development of the LCA. 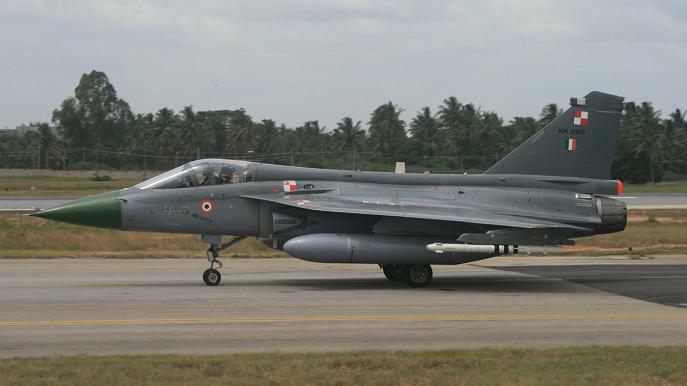 Much is made of the fact that India has not been able to develop its own engine for the LCA. But most aircraft companies don't design or make engines themselves! Most defence products require higher grade components with "MIL" certification. For many components, it’s cheaper to import from existing suppliers than design and manufacture them in India to MIL standards. A related issue is the definition of the objective of the development project itself. Whenever I have spoken to people involved with the LCA project, they have proudly drawn attention to the number of new technological capabilities ranging from composite materials to advanced avionics that were developed in India as a result of the project. So, even though the LCA itself may not have been inducted into the Air Force so far, India has undoubtedly gained from the LCA project. Of course, this is limited consolation as the country has not got the aircraft we needed for the defence of the country! Complex products require advanced competence in diverse areas. Often, India does not have companies or institutions that have the required level of competence in each of these areas. Even when available, such skills may be relatively shallow and limited in scope. When the skills exist in the academic or research institutions, they may not be application-oriented. LCA project head Dr Kota Harinarayana gave some interesting insights into this challenge when I spoke to him some years ago. When the LCA project started in the mid-1980s, we faced serious handicaps in composite materials, avionics and a host of other technologies. Dr. Kota Harinarayana who headed the Aeronautical Development Agency (ADA) that was created for the LCA project realized that it would not be possible to create all the needed expertise within ADA or HAL. He therefore visited all the leading engineering schools in the country, made an assessment of the expertise available, and created a large collaborative platform to rope in this expertise. Very soon he realized that these individual faculty members lacked either the managerial expertise or the interest to manage complex research projects. So, ADA had to work with the professors to break down the problems into more manageable pieces, each of which could be tackled as a Ph.D. or M. Tech. project. ADA funded the creation of physical infrastructure wherever necessary and did the overall programme management and coordination. So, there is a great deal of managerial effort that has to go into working with academic research partners who might have the required technical expertise. While complex products are today largely designed on the computer (the Boeing 777, for example, was designed predominantly based on simulation through CAD/CAE), some amount of physical prototyping and testing is always required. Rapid testing, using low cost mock-ups and prototypes, wherever possible, is critical to completing the project quickly. 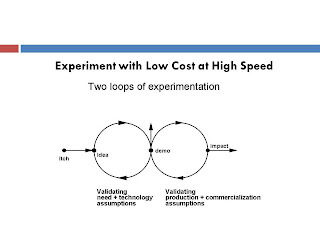 But, design of complex systems in India is undermined by inadequate resources for experimentation and testing. This results in overly long development cycles. I don't have hard evidence, but I am sure the CAG's notion of wasted and infructuous expenditure also hampers adequate experimentation. In 8 Steps to Innovation, we wrote about “failure fallacy” - the purpose of experimentation is testing assumptions and learning, not success and failure! Given our administrative rules and audit procedures (the infamous “Infructuous expenditure” that is the subject of criticism of successive CAG reports! ), it appears that our system can easily fall prey to this failure fallacy. After independence, India adopted the Soviet model of separation of design and development from production. As a result, we have a huge network of government owned and operated research and development laboratories and facilities, and a separate network of production units/factories (like the ordnance factories in the case of defence). The separation between R&D and manufacturing has worked to our disadvantage in multiple sectors. Take the case of telecom, where the Centre for Development of Telematics (CDOT) set up in the 1980s created contemporary digital exchanges that were well suited to the hot and dusty conditions of India and the then prevalent high number of “Busy Hour Calling Attempts.” But as I documented in From Jugaad to Systematic Innovation: The Challenge for India, the separation of the technology provider from the manufacturers (a set of licensees who themselves had limited technological capabilities) meant that CDOT was one step removed from the marketplace and that the licensees never invested in creating their own technological capabilities. As a result, over time, the CDOT technology failed to keep pace with the needs of the market and lost out to products imported from global telecom giants. The separation of R&D from production is particularly detrimental to the commercialization of new technologically-intensive products. The designers tend to be relatively insensitive to concerns of manufacturability or support, and hence the product can prove difficult to manufacture in large volumes, or at a reasonable cost. The manufacturers have inadequate understanding of the know-how and know-why, and in the process of trying to make manufacturing easier or more streamlined make changes in the product or process that make it deviate from the required specifications. Commercialization of complex technologies needs close working between R&D, engineering and production, and this becomes more difficult if this involves crossing organizational boundaries. There are major challenges even within the same organization – the success of Samsung in the memory chip industry, for example, is often attributed to the co-location of these three functions as this makes communication and problem-solving much easier. Besides, successful productionization or commercialization of products involves the generation and retention of a large amount of tacit knowledge. I am reminded of an experience that was narrated to me by the Chairman of Samtel Color, Mr. Satish Kaura, many years ago. Samtel entered the Colour Picture Tube market in the early 1980s when colour TV was first introduced to India. Samtel sourced its technology from a leading Japanese company. However, they struggled to achieve the same level of productivity of CPTs as the company from whom they sourced the technology. However, a leading Korean company was able to master the technology from the same source. Ironically, Samtel had to hire consultants who were ex-employees of the same Korean company in order to get the tacit knowledge of how to improve the yield of the production line! Successful product companies build huge internal repositories (both informal and formal) of such tacit knowledge. It is this knowledge that helps them avoid repeating the same mistakes or being able to move ahead rapidly when a project gets stuck. Building this knowledge requires going through multiple product development cycles and finding ways of capturing and building on such knowledge from one project to another. But, if one project takes 30 years, you have a problem! In complex product development like aircraft design, we have not gone through a complete project cycle even once. That is a major disadvantage we face. Why have we done better in the Space Programme? My hunch is that we have done better in the space programme because that is a vertically integrated programme, has much clearer strategic objectives, is managed more effectively, and because its not a volume-oriented programme – you don’t have to move to serial production, so many of the productionization and commercialization problems don’t exist. What needs to be done to improve our ability to build complex engineered products? This is a big question in itself and I will leave it to a future post!